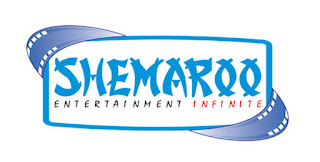 Shemaroo Entertainment Ltd. is an Aggregator -> Owner -> Distributor of film entertainment. The company primarily buys the copyrights of the film, owns it for a period of time and distributes it to platforms such as Television channels, Youtube, Hotstar, etc. The ownership can be perpetual (complete ownership) or partial ownership (limited period or specific platforms). For distibution, the company relies on traditional media such as TV channels, home videos (almost redundant now), in-flight entertainment, etc. and new age media which rely on internet (basically mobile apps). The digital media industry is growing in between 30% to 35% per annum and this growth can be expected for 2 more years before it starts to taper off. The OTT (Over the top) market is expected to grow at 18% per annum till FY23. Typically, just 2% of the free users convert to fee based subscription which means that advertisements will continue to drive revenues for the content makers and distributors. The high rate of growth in the foreseeable future is primarily expected to be driven on the back of increasing penetration of 4G and broadband. With the entry of foreign companies like Amazon and Netflix, the OTT market is heating up. 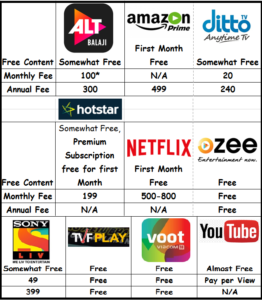 The subscription prices are competitive, the content is shifting from international to regional. Industry experts expect 40% of the OTT content to be regional. These OTT companies are currently focusing on the new releases and vying for 3-6 years rights for the new releases (With reference to the movies segment). Indians were consuming 70 MB of data on an average every month 3 years back. Today the average data consumption per month is ~ 1.3 GB to 1.6 GB and CRISIL expects this growth rate to be 12% p.a. till FY22. A movie typically has 3 cycles. The first cycle is the release and post-release distribution over platforms for 5-6 years. Shemaroo doesn't participate in this cycle. The second cycle is where Shemaroo enters. If a movie earned Rs 100 in the first cycle, it will typically earns Rs 15 to Rs 25 in the second cycle and then Rs 30 to Rs 35 in the third cycle. This inflation is because older movies tend to have a higher viewership and demand. Investing in the first cycle is risky because the movie might be a hit OR flop and many new movies find little viewership on television. The above table will give you a clear hint of the growth in the Digital segment of the business. A significant portion of the digital revenues come from Youtube ads. The management has not disclosed the % share of Youtube ads (earlier it was around 30% of digital revenues but has been slipping down in FY18). Shemaroo's Youtube channel FilmiGaane has more than 3 Billion views and 9.3 Million subscribers. The channel is one of the leading channels for old hindi songs. Channel currently ranks #13 in India. 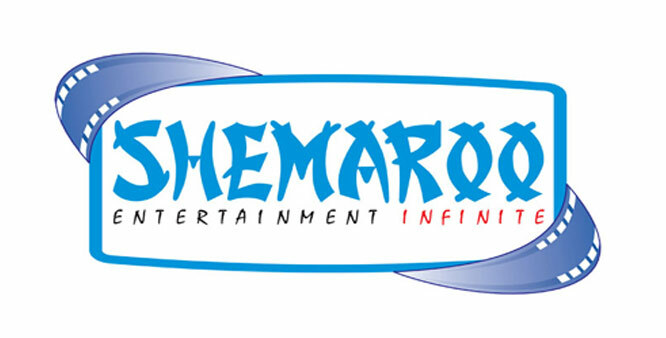 Shemaroo's Youtube channel ShemarooEnt has more than 7 Million subscribers. This gives the company a massive subscriber base to monetize. Channel currently ranks #17 in India. The digital model of revenue has many modes such as pay per transaction, subscription, advertisement, etc. The company has agreements with platforms such as Youtube, Hotstar, iTunes, YuppTv, etc and also with telecom operators. The revenues have grown at a CAGR of 17.16% and 18.51% over the last 3 & 5 years respectively. The profits have grown at a much faster pace due to expansion in margins and higher contribution from the digital segment. The company has not reported positive cash flows since FY13 and the Net Working Capital required for business has grown exponentially. The primary reason for negative cash flows and increase in working capital is Inventory. For Shemaroo, content is inventory and it has invested aggressively in Inventory since FY12. If your library is not big, who will buy content from you? A company which is constantly losing cash despite making profits will face liquidity crisis sooner or later. Such companies will have to rely on external funding in the form of debt / equity to survive. The company is paying out taxes at the highest rates and has a fair interest coverage ratio of 3.9 and a debt to equity ratio of 0.69. The promoters hold 65.82% share in the company and have not diluted their holdings off late. The stock currently trades at a Price-to-Earnings Ratio of 19.6 and a Price-to-Book ratio of 2.7; these valuations are fair when you look at the projected rate of growth. Shemaroo has red flags when it comes to Cash flows and the constant need to keep investing in inventory to grow the library of digital content. Will you invest in Shemaroo to capture good returns from the ongoing buzz and spurt in viewership of the digital content industry? Will Shemaroo see some good upmoves driven by valuation re-rating or will the cash burn (negative operating cashflows) caused by heavy investment in inventory keep the stock price muted?